OKLAHOMA CITY (AP) – Oklahoma Gov. Kevin Stitt has appointed a longtime cybersecurity expert as the state’s new director of the Department of Emergency Management. Stitt announced the hiring Tuesday of Mark Gower to lead the agency that coordinates the state’s response and recovery from natural disasters and emergencies. Gower previously served as Oklahoma’s chief information security officer responsible for protecting the state’s data and computer infrastructure from cyber threats. He will replace the agency’s former director, Michelann Ooten, who will move to the position of special adviser to the director. 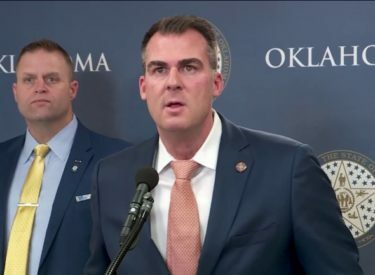 Stitt has named most of his cabinet members and replaced nearly all of the top staff and appointees of his predecessor, fellow Republican Mary Fallin. The new governor is expected to outline his agenda Feb. 4 during a State of the State address.